It's easy to use, free and a quick way to be more social and grow your followers. and rapidly grow their idea/venture. - Schedule a series of reminder posts ahead of an event, podcast or announcement. 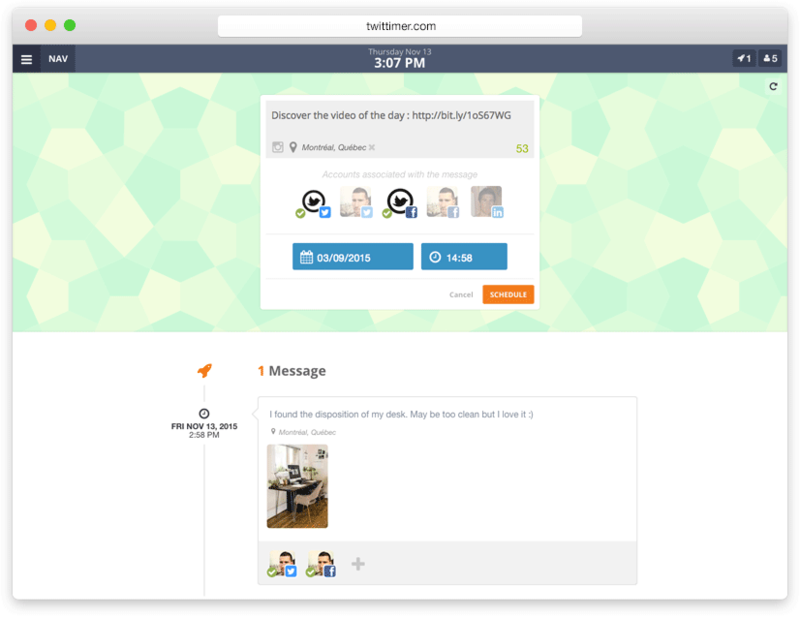 - Save time by posting to multiple social accounts at once. - Look big, busy and active by round the clock posting. Fake it till you make it! 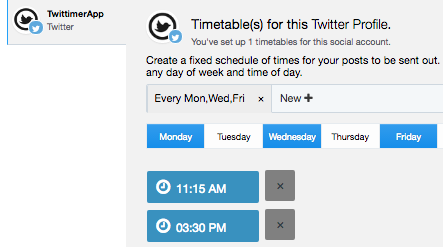 Select the date and time and let Twittimer do the work for you. Select multiple accounts and save time. Liven up your posts by adding media. Add up to 4 photos per post or 1 video. It's a proven fact that posts with images get more engagement. View a 60 day archive of all your past messages. Easily repost past messages. See how you are doing! 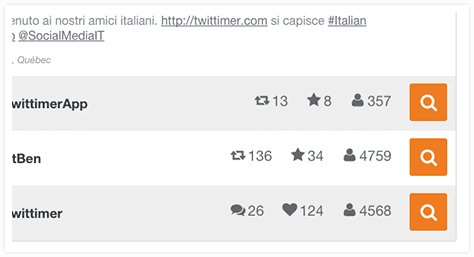 Get data on published posts, see likes, retweets, shares, and views. 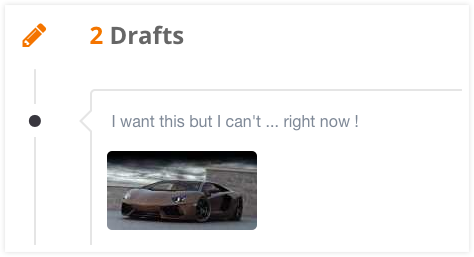 You can write and save drafts of your messages for later use. 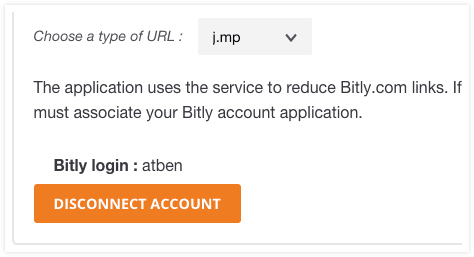 Pretty up your links and see statistics like how many times your link was clicked with Bitly or Goo.gl. 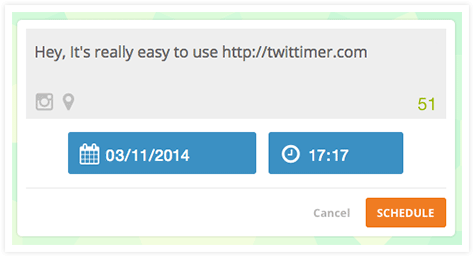 Save time by bulk uploading your posts via a CSV file. Advanced users can also add images to their CSV file. Setup fixed times of the week you want posts to go out. 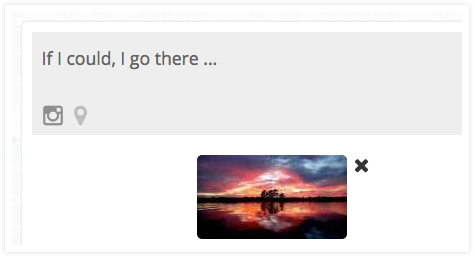 Saves time so you don't have to reselect the date and time of every post. Add RSS feeds from your favorite sites and easily repost the latest content to your followers. Helps when you are running out of things to say! Leverage the incredible power of social media to quickly grow your audience.